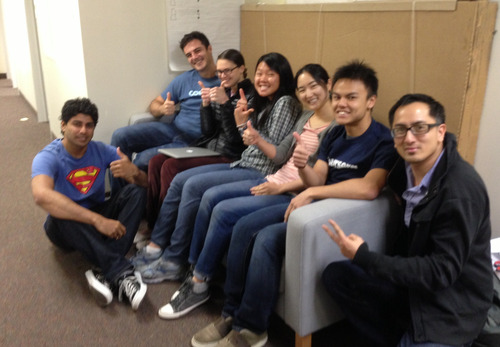 Congrats to the First Students to Earn Verified Certificates with Signature Track & A Chat with The Coursera Team! We’d like to offer a big congratulations to the first group of Courserians to earn a Verified Certificate! We recently awarded more than 700 Verified Certificate for students in Nutrition for Health Promotion and Disease Prevention from UCSF and over 200 for each of the following courses: Introduction to Genetics and Evolution from Duke University and Microeconomics Principles from University of Illinois. Other courses with students recently earning Verified Certificates include Calculus: Single Variable from University of Pennsylvania, Algebra and Precalculus from UCI and Bioelectricity from Duke University. Congratulations from all of us to you! Since launching Signature Track, we’ve received lots of questions from Courserians around the world. In the following Q&A, our Certificates team shares some insights about the program and students who participated— and hopefully answers some of your questions about Verified Certificates. Coursera Verified Certificates are a currency for your lifelong learning achievements. With a Verified Certificate, you receive official recognition from a world renowned university after successfully completing a course on Coursera through Signature Track. How are Courserians using their Verified Certificates? You can use a Verified Certificate to build your qualifications in something new or advance in your current field. Many students list their accomplishment on their resumes/CVs and include them along with applications. Other students proudly display them to friends and family. Some students even use them as extra motivation to complete their courses! Verified Certificates are a great way to continually improve your education and career outside of school. In fact, more than 70% of students who joined the Signature Track had a college degree! What are examples of real people using their Verified Certificates to improve their education or career? You can earn a Verified Certificate by joining Signature Track for an eligible course, and then successfully completing your course. Signature Track securely links your work to your real identity using your photo and unique typing pattern. The chance to join Signature Track is available in the first 2 or 3 weeks of an eligible course. Nearly 30 courses (spanning many subjects) are currently offering Signature Track and Verified Certificates. Courses that recently started include Design: Creation of Artifacts in Society from University of Pennsylvania and Introduction to Interactive programming in Python from Rice University among others. You can always see a full list in our course catalog. Are there any other interesting statistics about students who get Verified Certificates? • Signature Track can help motivate you to complete your course: Students in the Signature Track had some of the highest completion rates, even higher than other groups who also indicated a strong commitment to complete the course. In total, almost 70% of the students who joined the Signature Track went on to successfully complete their course. • If you join the Signature Track and aren’t able to finish your course, you will get a coupon to try again for free in a future session of the same course. Groovy. • 9,000+ students from all around the world have joined the Signature Track for their course. • English Composition I from Duke University has more than 500 students in the Signature Track, as does Model Thinking from University of Michigan. 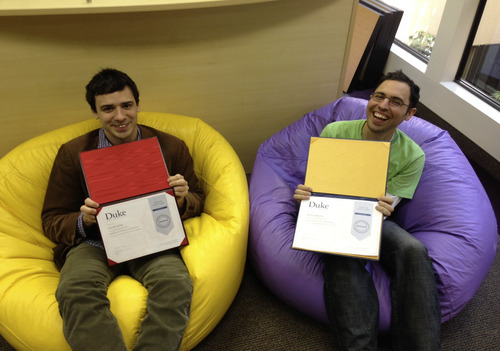 Over 2,000 students are taking Gamification from University of Pennsylvania with Signature Track. • Students from more than 80 countries have already earned Verified Certificates through Signature Track. Some of the most popular countries include the US, Spain, Brazil, Greece, Canada, India, Ghana and the UK. What if I want a Verified Certificate through Signature Track but I don’t have the financial means? • An aspiring young software engineer from Nigeria taking Introduction to Interactive Programming in Python. • A Bangladeshi professional studying Global Sustainable Energy with a vision to improve access to electricity in his country. • A young Indian student taking Synapses, Neurons and Brains to prepare for entrance exams and his application for a PhD program in clinical neuroscience. We hope you’ve learned some useful facts about Verified Certificates and Signature Track. We are excited to continue to offer this option for more courses over the coming months.